Our guest is Don McNeeley, the president and CEO of Chicago Tube and Iron one of the largest specialty steel service centers in the United States with ten branches throughout the Midwest and in Monterrey, Mexico. The company recently celebrated it 100 year anniversary with an amazing performance record of 100 continuous years of profitability. 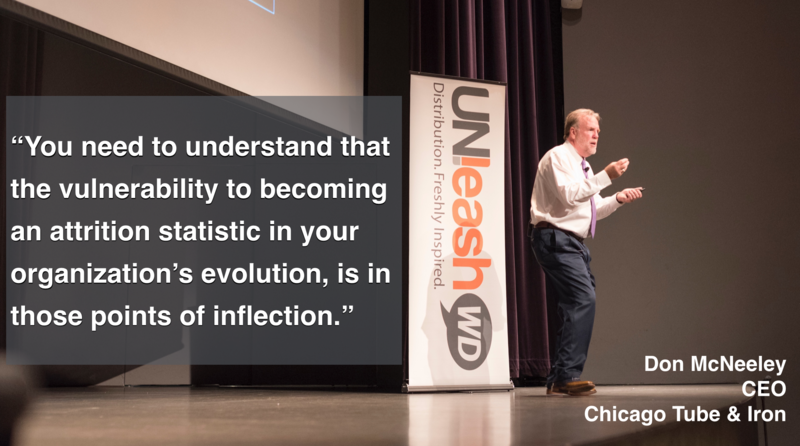 40% percent of all businesses fail the first generation of management. Another 44 percent in the second. And only one out of every 100 businesses make it to it’s centennial. When you realize what the world, and the world of business has experienced in the past 100 years, the uninterrupted 100 years of consecutive profitability achieved by Chicago Tube and Iron is simply an amazing record. So how is sustained profitability and relevance of this magnitude achieved? 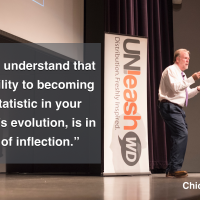 As I learned in this conversation with Don, successful leaders have the ability to look at the trends that are impacting our world, connect the dots, craft a vision that galvanizes the organization, and then, and maybe most importantly … to lead the business through market disrupting inflection points.